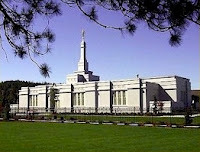 I live in the Spokane district and can say that we have a very active Temple and that we have been beta testers for some other materials a few years ago. We are number 11 on the list for New FamilySearch, but we don't yet know when that will be. Thanks! I'll add this info to my table. My guess is they'll get to #11 around the first of the year. If I'm right, you should hear something during Q4 this year. We were to be #11 but with a recent change in temple presidency and with alot of unregistered consultants.... well, maybe we'll catch up. Thanks for the update. DMV tells me that they've been pushed into the first of 2008, as I forecasted.